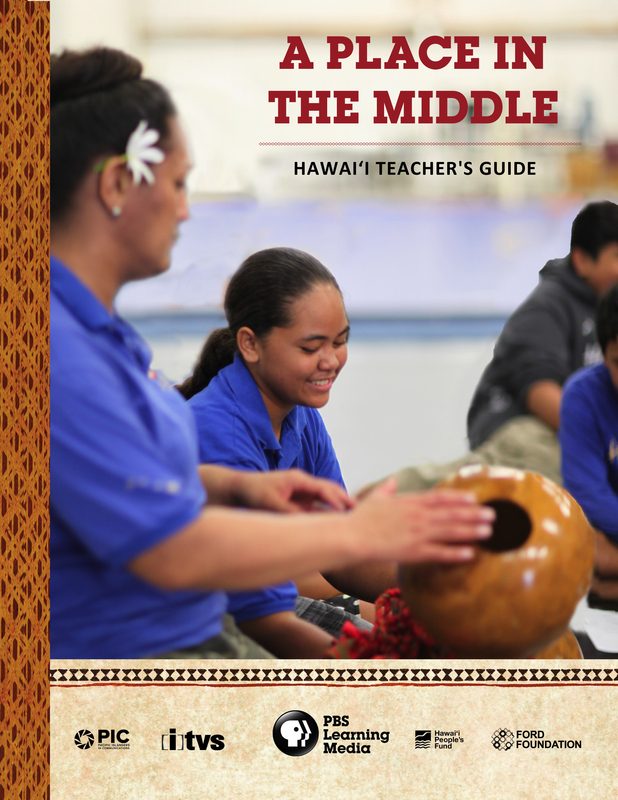 A PLACE IN THE MIDDLE is the true story of a young Hawaiian girl who dreams of leading the boys-only hula group at her school, and a teacher who empowers her through traditional culture. With your help, this kid-friendly educational film can broaden your students’ understanding of Hawaiian culture, history and philosophy, and deepen their appreciation of how Kanaka Maoli traditions and values can help to prevent bullying and create a school climate of aloha. We were inspired by Ho’onani’s and Kumu Hina’s story, and share this film with the hope that it will similarly open hearts and minds in your classroom or school. Through the generous help of our sponsors, we are able to make this film and guide available for free to every school in Hawaii. But PLEASE REGISTER so we know who the project is reaching and how to improve it. Mahalo! The Hawaiʻi Teacherʻs Guide includes lesson plans, discussion questions, activity ideas, and background information and references. 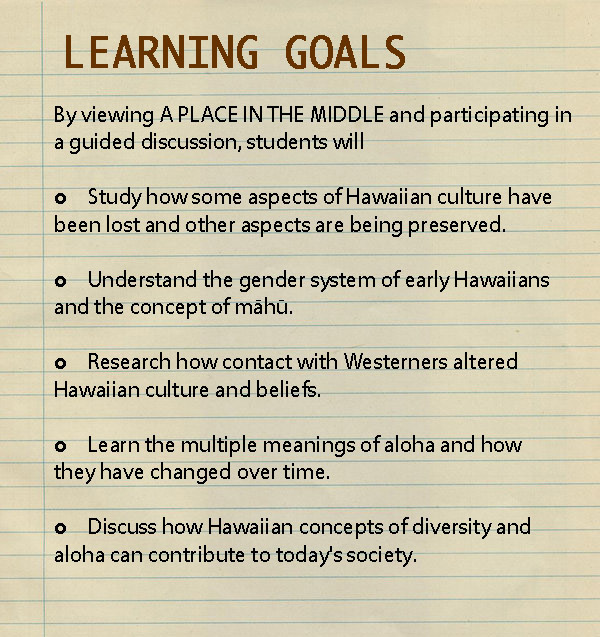 The guide is based on the Hawaiʻi Department of Education Content and Performance Standards for Hawaiian Studies. Download to your computer to screen and share the film without internet access. Click download button on Vimeo page. Use short clips to introduce or review specific discussion topics. Request Hawaii Teacherʻs Toolkit with DVD, printed Discussion Guide, Pledge of Aloha poster & postcards.